Cool twist makes it better than most maze games. Clicky Clicky and off you go through the mazes of stuff flying at you. directions: Click where you want the dot to go, make it to the red circle without hitting anything. 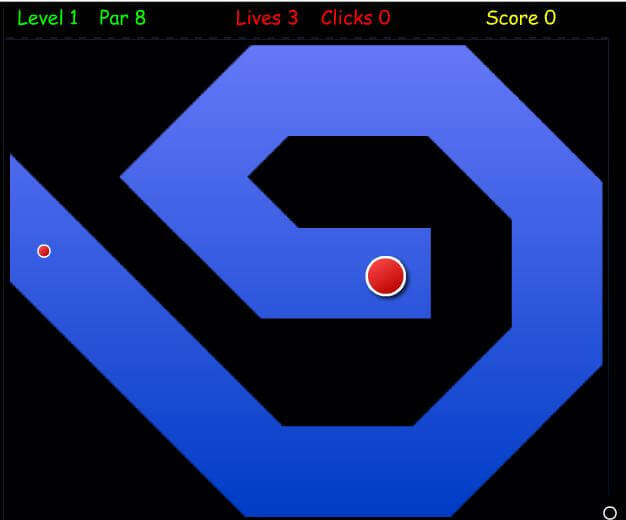 It's all in the clicks, this game is the same as Click Maze except the cursor is not affected by the black wallsor objects. This maze game is all about keeping your click count low, the lower the better and you will receive a par count on each maze as well. You want to keep the angles just right so you can navigate the maze games with the perfect amount of clicks. This is one of our staffs favorite maze games on this entire website. You will get extra maze points for beating the par score. And you get a set number of lives for the mazes as you go through them so don't try to cheat by going through the maze walls. 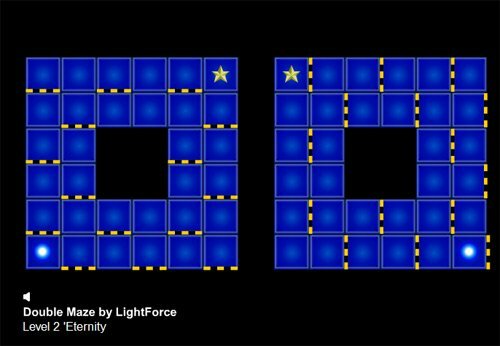 Some of the mazes actually use moving obstacles in your path to add a degree of difficulty, so some of the mazes games on this one are serious business. You need to be on top of your game to get past some of the more difficult mazes. It is very tempting to just gun it and try to beat some of the mazes in one click, it's up to you to see how much it's worth trying to beat par on ever maze level through the game. The aim of the game is to guide the small red pill through the maze avoiding the black walls and obstacles in order to reach the red pill in as few clicks as possible. 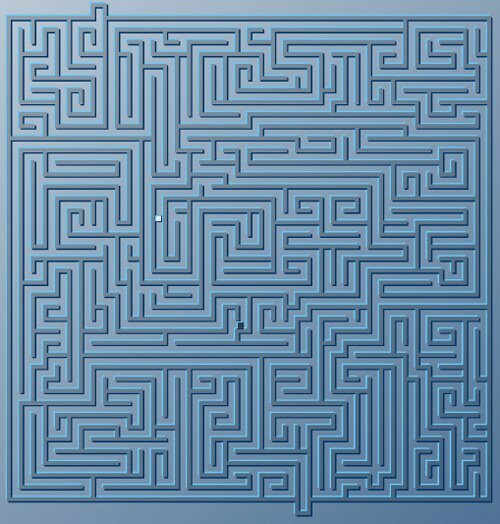 Click the start maze circle at the start of each level, then click the mouse to guide the small red pill in a direct line through the maze. Then click the small red pill to finish the maze and go to the next level of maze games, easy huh !